In 1187 one of the few survivors of the Battle of Hattin, young Scots Templar Alexander Sinclair, escapes into the desert despite his wounds. Sinclair has learned about the execution of the surviving Templars after the battle, so when he is rescued, he says nothing of his own standing among the Order of the Temple. Sinclair is one of the Inner Sanctum of the Order-a member of the ancient Brotherhood of Sion, a secret society within the secret society. Two years after the battle, Sir Henry St. Clair is awakened after midnight by a visit from his liege lord, Richard the Lionheart. King Richard is assembling an army to free the Holy Land from the grip of Saladin and his Saracens, and he wants Sir Henry, his first and favorite teacher, to sail with him as his master-atarms. The old man is unwilling to go-he neither likes nor trusts Richard, having found him both a sadist and an egomaniac. But his future, and that of his young son Andr�, a rising knight in the order, depends on his allegiance to Richard. Sir Henry knows that Andr� worships his older cousin, Alexander Sinclair of the Scottish branch of their family, who has been in the Holy Land for years. Alexander will be an ally in an unfamiliar land. Sir Henry agrees to go despite serious misgivings about Richard, and his motives for war. 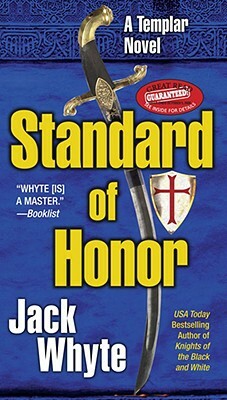 From the moment the first soldiers of the Third Crusade set foot in the Holy Land, the story of the three templars unfolds as the events of the campaign and the political and personal intrigues of the Crusade's leaders again bring the St. Clair family-and the Order-to the edge of disaster.